Organizing holidays with young children sometimes seems impossible for parents who know what it means to set off with baby food, high chairs, bags, nappies etc. But don’t get discouraged. With careful planning a special trip with the family offers unforgettable memories that, after all, are priceless. First of all it is important to choose the right destination, a seaside resort that everyone will enjoy … the sea must be perfect and suitable for children who like adults, want to explore a “new world” while they play and have fun in complete freedom and security. 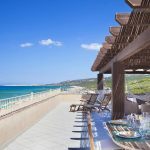 Sardinia, world-famous for the transparency of its waters and the beauty of its beaches is undoubtedly the perfect destination for beach holidays for children with Gallura in the North-East of Sardinia, especially well-known for its sandy beaches and shallow water. The first question to ask for a holiday with children in Sardinia is: car: yes or no? 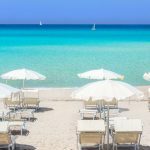 Taking your own vehicle on holiday adds convenience points when you are travelling as a family and carrying luggage, so the idea of booking a ferry and perhaps taking advantage of the hotel + ferry packages for Sardinia should be seriously considered. But if you don’t like the idea of travelling by boat, getting to Sardinia by plane is a very good second option. You can always hire a car when you get here so all you need to do is lighten your bags as much as possible. How? By choosing a family-friendly hotel like the Resort & SPA Le Dune. 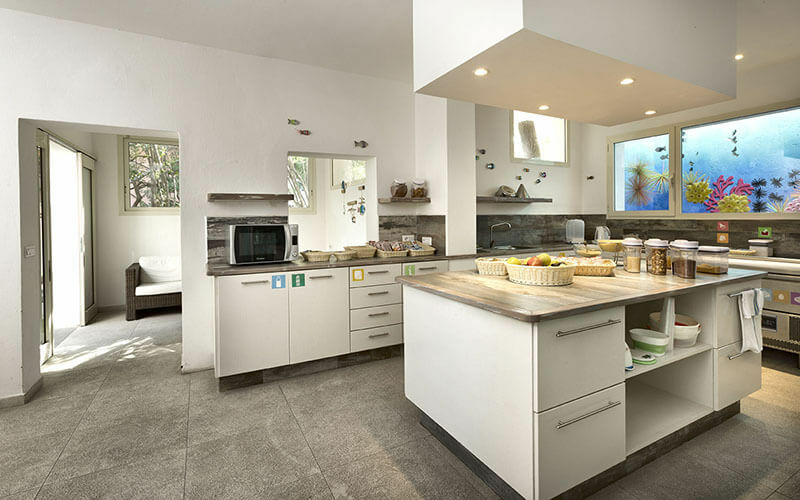 Here everything is tailor-made for children and all the services and facilities are designed to help Mum and Dad. At the free bottle-heating room you will find sterilizers and bottle warmers, microwaves and pans to prepare your favourite baby food, changing tables for a quick change between one swim and another and biscuits, soups, juices, milk and yogurt for a snack. And all those who need gluten-free cooking can ask our chefs who, constantly updated by AIC, are willing to prepare tasty dishes for those who are gluten-intolerant. And the push-chair? That’s awkward and unnecessary. Leave it at home, you can rent one at the hotel. So we don’t need to tell you just to put on flip-flops and sunglasses, take a few buckets and spades, close the front door behind you and come to Sardinia, but that’s how it is. Families on holiday at the Delphina family hotel in Badesi spend their time strolling between the swimming pool for children and the long Li Junchi beach which has had its Blue Flag since 2016. In eight kilometres of coastline you can relax, make sand castles or go for relaxing walks and all within walking distance of your room. And don’t worry if you have to drag games and bags to the beach, the free shuttle bus goes back and forth from the Resort’s central square all day. We’re not going to tell you “grown-ups” what you can do – there’s a choice of 10 restaurants, 6 swimming pools, a wellness centre and lots of free sports activities. 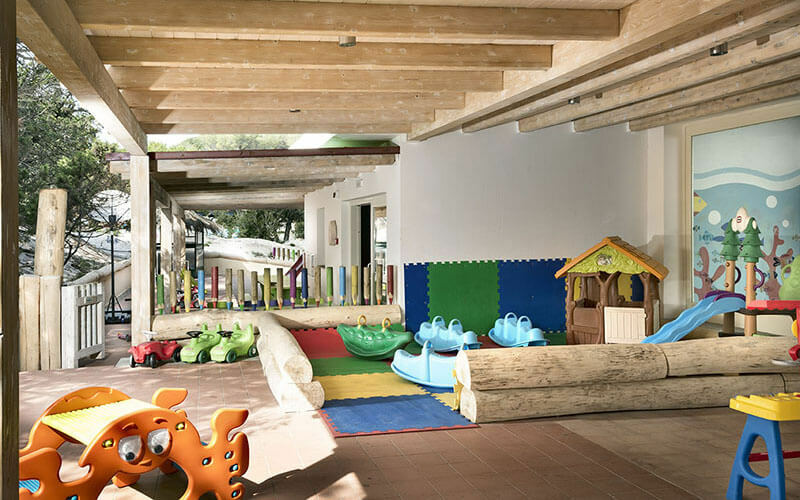 We’re sure you’ll find a way to relax while your children play at the Baby Club (2 to 4 years) or the Mini Club (4 to 9 years), have lunch with new friends at the Peter Pan Restaurant after having picked fruit and vegetables from the organic vegetable garden or, as usual, have their afternoon nap in the Pisolo room. But keep the evening free, when the baby dance is on stage together with Delphina and Saponello!